Growing Conditions: Light shade. Moist organic soil. Wildlife benefits: Small but abundant fruits in fall feed many species of birds. Remarks: Small green or white summer flowers are not showy – the fruit is the thing. Similar species: Wild Sarsaparilla. 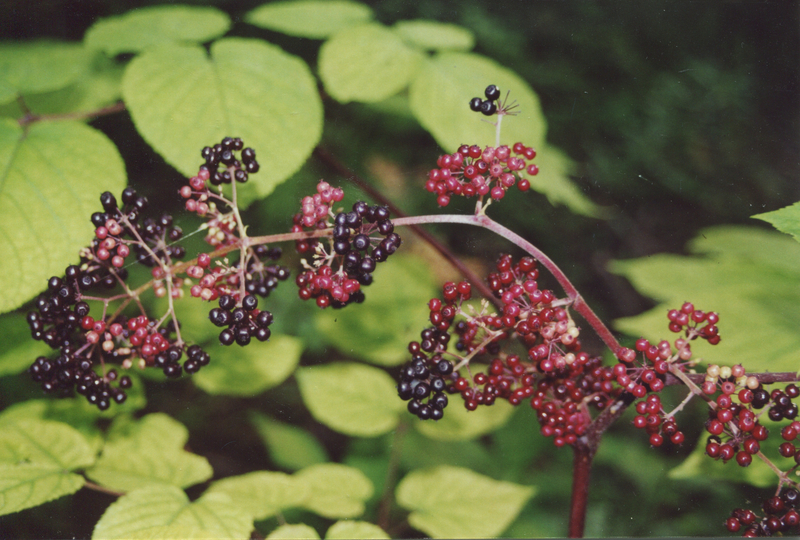 You might also like to look at Pokeweed.